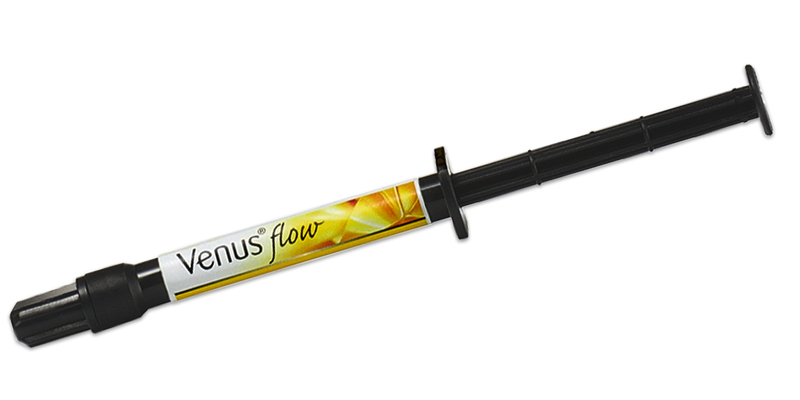 Flowable, light-cured, hybrid composite containing 62% filler by weight. It is indicated for use as a base/liner, pit and fissure sealant, for Class V restoration, and minimally invasive Class I, II, and III restorations. Contains: 1 x 1.8g syringe, 5 syringe tip cannulas. Contains: 4 x 1.8g syringes (Shades A1, A2, A3, Baseliner), mixing pad, 20 syringe tip cannulas.